Lamborghini will be the "last brand to offer" fully autonomous driving if it can help it. This December, Lamborghini will become the first thoroughbred supercar manufacturer to join the SUV bandwagon with the reveal of the Urus. While some may be crying sacrilege at the idea of a Lamborghini SUV, it’s a necessary step for the company to stay profitable. In another first for the manufacturer, a plug-in hybrid version of the Urus will also be available. While it looks like the automaker is succumbing to modern trends, rest assured that Lamborghini isn't abandoning its supercar roots. Lamborghini’s head of research and development department Maurizio Reggiani has assured us that we won’t be seeing any fully autonomous vehicles bearing a Lamborghini badge any time soon. While other automakers like Tesla are embracing the future of fully autonomous cars and racing to make the technology mainstream, Lamborghini doesn’t want to invest in technology it thinks will mitigate the pleasure of driving. 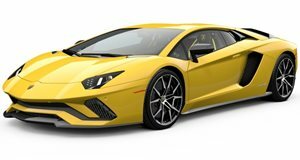 “If you buy a Lamborghini, you buy it to have fun and enjoy the driving," Reggiani said in an interview with Digital Trends during the Frankfurt Auto Show. "If we’re talking real autonomous driving, I think we will be the last brand to offer it." In other words, we won’t be seeing a self-driving Huracan or Aventador any time soon. Conversely, Lamborghini’s parent company Audi recently revealed its ambition to develop a fully autonomous car with the Aicon, a concept car that debuted at this year’s Frankfurt Auto Show envisioning self-driving cars beyond 2025. The Urus SUV, on the other hand, will be equipped with similar semi-autonomous driver assists as its Audi Q7 sibling – but that’s as close as we’re going to get to an autonomous Lamborghini for now. "We will have adaptive cruise control, we will have a camera, we will have lane-keeping systems," he said. Every feature available in a premium car will be available in the Urus, but nothing that comes close to real autonomous driving." While there are no plans to introduce fully autonomous or electric versions of Lamborghini’s supercars in the near future, a hybrid sports car is still on the cards within the next few years. "Hybridization for sure will come, in the next five years for sure," CEO Stefano Domenicali confirmed.